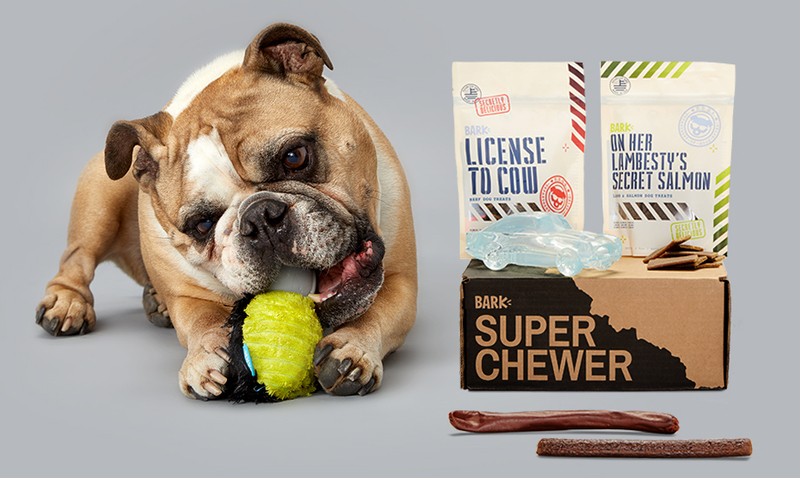 Super Chewer makes playtimes last longer, delivering your serious chewer super-tough toys and American-made chews and treats. Subscribe for as low as $29/box. Every box brings your dog more than $45 worth of toys and treats. Following boxes ship on the 15th of every month. FREE SHIPPING inside the contiguous 48 United States. If a toy isn’t tough enough, we’ll replace it for FREE. Any time, no questions asked. Dog allergies? Too many treats? Our crew of dog-crazy people in Columbus, OH, is here to make sure your Super Chewer box is perfect for your dog! Have a question about Super Chewer?Call 1-855-520-2275, text, chat, or email - whatever you prefer!